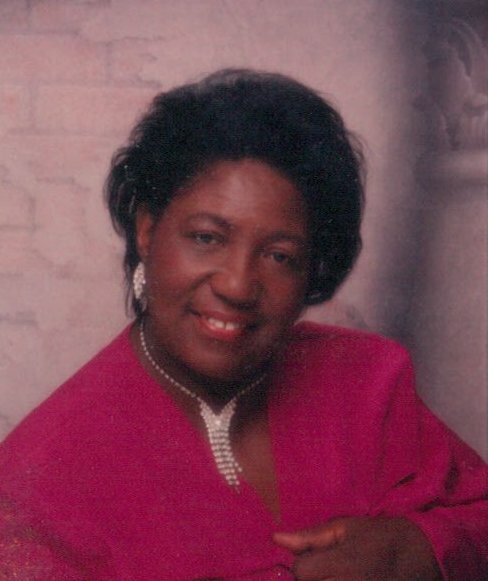 Rosa Elizabeth Porter (Rose) was born August 15, 1935 to Johnnie A. Hill and Leola Walston and raised by Johnnie and Hannah Hill in the West Norfolk area of VA.
Rosa attended Norfolk County High School and graduated in 1954. Later, she moved to Bronx, NY and married James C. Porter. She had two sons and one daughter. The family moved to Portsmouth, VA where she worked for several years in food service at Manor High School. She became a dietitian for Sentara Nursing facility and later moved on to work at the Norfolk Naval Shipyard and retired. Rose started her Christian walk at West Norfolk Baptist Church and moved her membership to Grove Baptist Church. While at Grove Baptist, she was a member of the Missionary Minister, a volunteer and worked with the Senior Fun Friday Committee. She was predeceased by her husband, James C. Porter; father, Johnnie A. Hill; mother, Leola Walston, Step-Mother Hannah Hill; her brother, John Hill and sister, Queenie Reed. She leaves to cherish her memories, Eric C. Porter (Selina), Matrovis Porter (Michelle), James C. Porter, Jr. (Rhonda (deceased)), Robert Porter D. Porter, Karen J. Darden, Clinton Mack (Vanessa), sister in law, Eula Porter and a host of grandchildren, great grandchildren and special fried, Edith Brothers, Missouri Sheperd and Dorothy Bullock. the loss of your Mom. She meant the world to us and we loved her so much. We are so lucky that she touched our lives. We are praying for you and your family in this difficult time. Thank you for your support and prayers. You mean the world to my family. There is no words I can Express for the overwhelming sadness of the loss of your Mom. Your Mom was such a beautiful person. She meant the world to me and my children. We are praying for you and your family. We love you . I met Mrs . Porter at Grove Church while visiting my daughter. She greeted me with a beautiful smile and a warm handshake I was looking forward on this visit to see her today at church (Feb 3). No ideal that she had passed. Please know my thoughts and prayers are with your family. She’s gone, but not forgotten. I was saddened to hear the news this evening from my brother Ken that your mother passed away. On behalf of my wife Dana and daughter Sydney, we extend our deepest sympathies to your family. Your mom was one of the finest people I’ve ever had the honor to know. She was always kind to us and definitely kept us in line when we were kids. Some of my best times growing up were spent hanging out at the Porter’s house. I’ll always remember those days and the role your mom played in all of our lives in making us the people we are today. May God bless you and your family. We the Banks family was saddened to hear of your loss. She was such a great person and she will be missed. She was like the mother of the community. She always greeted you with a smile and a warm hello. She will be truly missed. Our prayers will continue to be with you and your family. I’m so sorry for your loss. Mrs. Porter was such a lovely lady. I always use to see her at Grove. She had such a beautiful spirit. She was an Angel down here but God saw fit for her to be an Angel up their. I will continue to pray for you all because it will be hard right now but just stop and thinknnack on all your good times. They will never go away.